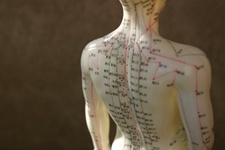 Acupuncture has been steadily gaining ground over the past decade as a legitimate natural remedy that can help with a number of health conditions. In recent health news, a lesser-known form of this traditional Chinese healing practice is getting some positive reviews when it comes to cardiac care. Researchers at the Graduate Institute of Chinese Medical Science in Taiwan just completed a study that investigated the effect of electroacupuncture on cognitive function and health-related quality of life in patients who have experienced a stroke. Obviously, a stroke is a traumatic event, but what comes after one can also be particularly troublesome. Symptoms following a stroke can cover a broad range of health problems—from loss of mobility to cognitive impairment (including memory loss) to difficulty speaking. But, many people recover fully after a stroke—if they are given the right treatment at the right time. For their study, the Taiwanese researchers attempted to help 38 stroke victims recover through the use of electroacupuncture. A treatment group of 17 stroke participants with cognitive impairment were measured against 16 in a control group. Electroacupuncture was applied to two particular acupuncture points: PC6 and HT7. The treatment lasted for 20 minutes twice a week for eight weeks in the treatment group, while participants in each group continued rehabilitation. A cognitive assessment and quality-of-life assessment were carried out in each group at baseline, and at eight weeks after treatment. The research team found that significant improvement was detected in four subsets of cognitive function for those in the electroacupuncture group: memory; personality; praxis; and language. Praxis refers to the process by which a theory, lesson, or skill is enacted, practiced, learned, or realized. The researchers concluded by stating that there is a positive effect of electroacupuncture on cognition and quality of life in patients who have had a stroke. Electroacupuncture could help speed the recovery of stroke sufferers. Get your doctor’s advice about how to find a qualified practitioner. Chou, P., et al., “Effects of electroacupuncture treatment on impaired cognition and quality of life in Taiwanese stroke patients.” J Altern Complement Med. October 2009; 15(10): 1,067-1,073.